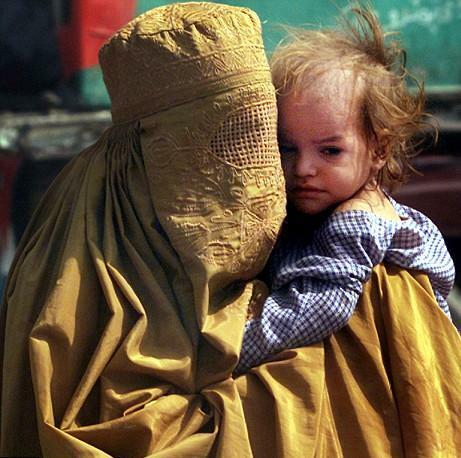 A non profit organization raking reveals why Afghanistan is the worst place to live in wif you are a mother. Save the Children released the 2011 ranking regarding the life conditions of mothers, mothers to be, infants and preschoolers in 164 countries. The variables taken into consideration were the level of information regarding contraception and the usage of modern contraception, the mortality rate at birth for mothers, the life expectancy of women, the rate of mortality in young children under the age of 5, the medical personnel involved in child birth process an other similar items. After studying the data, statistics showed that the countries from Africa had the lowest rankings and Afghanistan was ranked last. And here is why: a typical Afghan woman is expected to live approximately 45 years. One in every 11 women dies at birth and this is mainly because only 14% of them are assisted by trained medical personnel and apparel. After birth, the chances of survival for the little one are 20%. One of 5 children under the age of 5 dies. In regard to the access to information about modern contraception and its usage, only 16% of the women living in Afghanistan use contraceptives. Plus, education in children is affected by child gender disparity. Along with Afghanistan, the bottom of the list is occupied by Central African Republic, Sudan, Mali, Eritrea, DR Congo, Chad, Yemen, Guinea – Bissau and Niger. On the other hand, the countries best rated were Norway ( ranked # 1), Australia ( ranked # 2) and Iceland ( ranked # 3). These countries have an almost double life expectancy than those in Afghanistan. Only one in 175 women is prone to death at birth or of pregnancy related complications. Almost 100% of the births happen in medical facilities and are assisted by doctors. They are well informed and the majority uses modern contraception. Plus, Norway has the highest ratio of female-to-male earned income and a maternity leave of almost one year. The countries that were not listed in the Index had insufficient or unavailable data, or a population number under 250,000. “Governments and international agencies need to increase funding to improve levels of education for women and girls, provide access to maternal and child healthcare and advance women’s economic opportunities” Index says.